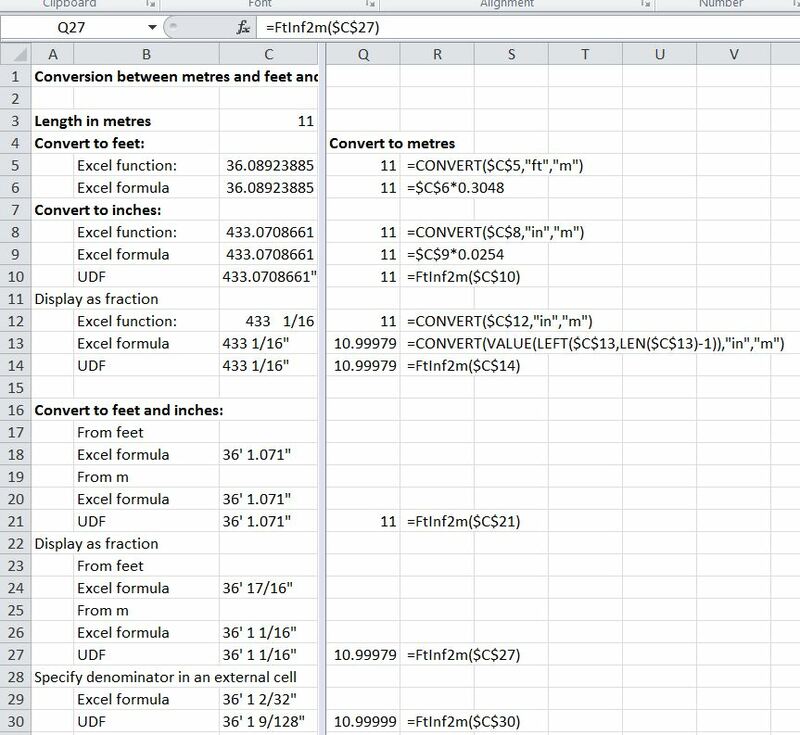 Following a query at Eng-tips I have had a look at options in Excel for converting metres to feet and inches, with the inches displayed as a fraction rather than a decimal. On-sheet formulas for conversion in the other direction would be still more complex, but the UDFs provide this functionality. 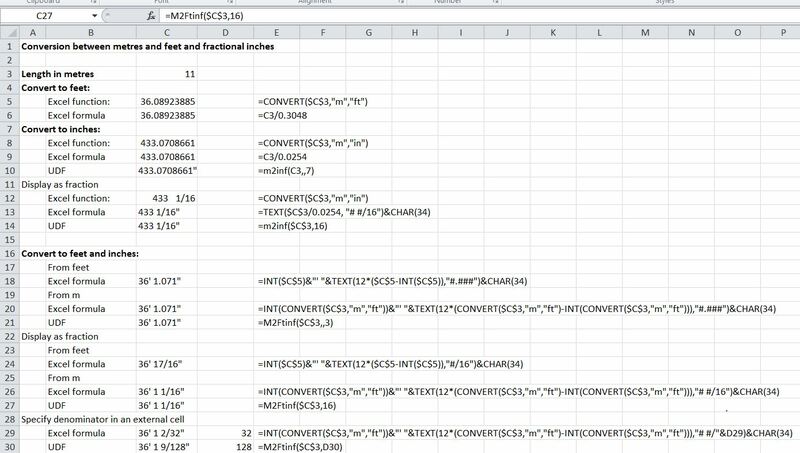 This entry was posted in Excel, Maths, Newton, UDFs, VBA and tagged Excel, feet and inches, UDF, Unit conversion, Units, VBA. Bookmark the permalink. Nice post. Love this. I can put it in to something I use everyday. Thanks for sharing.